Richard Head is Of Counsel at SL Environmental Law Group. He focuses his practice on complex environmental contamination litigation. Before joining the firm, Richard was Associate Attorney General for the New Hampshire Justice Department. Over the course of his 14 year career at the Department of Justice, he argued more than 15 cases before the New Hampshire Supreme Court and frequently testified before the New Hampshire Legislature on a wide range of issues on behalf of the Attorney General. Richard also held multiple senior leadership roles throughout his tenure with the Department of Justice. As Associate Attorney General, Richard was the Director of the Division of Legal Counsel and oversaw the management of the Civil and Transportation Bureaus and the Charitable Trust Unit. As a Senior Assistant Attorney General, he served as the Bureau Chief of the Environmental Protection Bureau and the Consumer Protection and Antitrust Bureau. Richard’s experience at the Department of Justice included complex litigation cases. 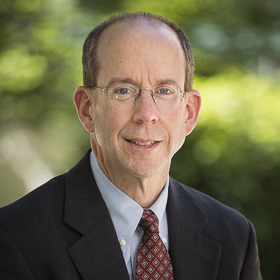 Richard served as a senior member of the legal team working on the record-setting New Hampshire MTBE litigation, including its three-month jury trial. In 2014, Richard was a finalist for Trial Lawyer of the Year for his work in New Hampshire’s MTBE litigation. He also was the lead attorney for New Hampshire in enforcement of the multi-state Tobacco Master Settlement Agreement, which established standards on tobacco marketing and a formula for payments by tobacco manufacturers. In the nine years Richard was involved in litigation against the tobacco manufacturers, he worked with the National Association of Attorneys General (NAAG) and the tobacco units of virtually every state’s office of the attorney general. Prior to working for the New Hampshire Justice Department, Richard worked in the New Hampshire Department of Environmental Services after spending 10 years in private practice as a litigator. Richard earned his B.A. from Clark University and his J.D. and M.S. in Environmental Science from Indiana University. During law school, he was an editor of the Indiana Law Journal. Richard is admitted to practice in New Hampshire, the United States District Court for the District of New Hampshire, and the United States Court of Appeals for the First Circuit.